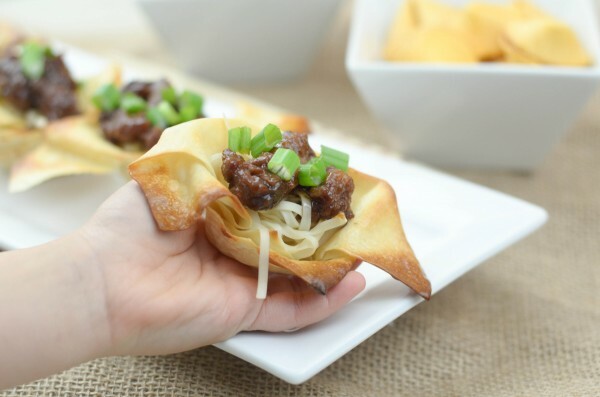 If you need a new twist to dinner then these Mongolian Beef Egg Roll Bowls should be heading to your menu plan right this second! Did you know that February 8th marks the start of the Chinese New Year? That’s right, it’s almost here! Many of my friends celebrated last year by ringing in the new year with a traditional feast. I thought that looked like so much fun and a great teaching tool for my own kids too. We decided to try out our hand at preparing for the new year as well with these Mongolian Beef Egg Roll Bowls with Kikkoman Soy Sauce. 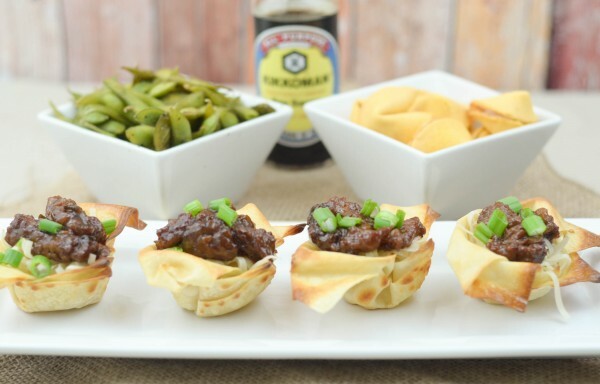 Soy Sauce and Asian cooking typically go hand in hand, at least for us. 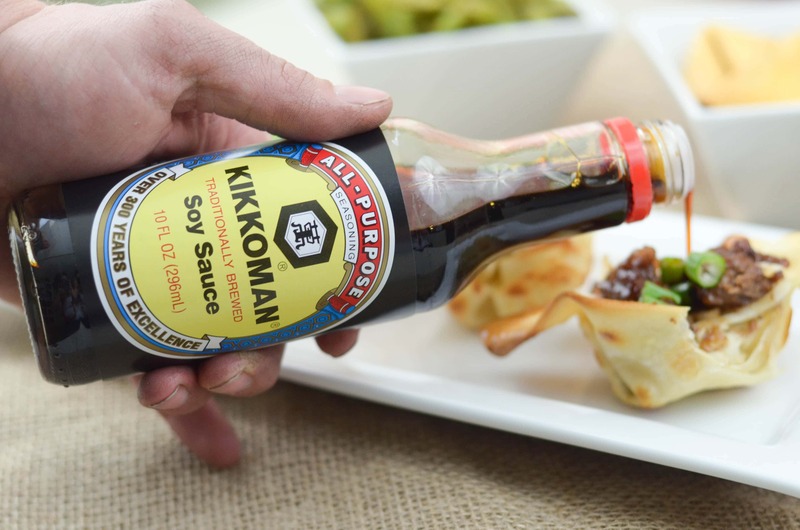 Kikkoman Soy Sauce gives the dish an enhanced flavor and allows for natural browning in meal preparation. Of course, my favorite aspect of Kikkoman is that they offer a gluten-free sauce as well. Bonus! For our new year celebration, I decided to take on of my favorite dish, Mongolian Beef, and make it into the perfect ‘finger’ food. 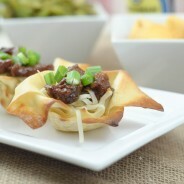 I used Egg Rolls that were then baked in a muffin tin to create a bowl. Then, I topped the bowl with rice noodles and the Mongolian Beef. These were the perfect addition to our new years spread, plus easy for the kids and adults to pick up and walk around with. My husband could not get enough of these and my kids were the same way. 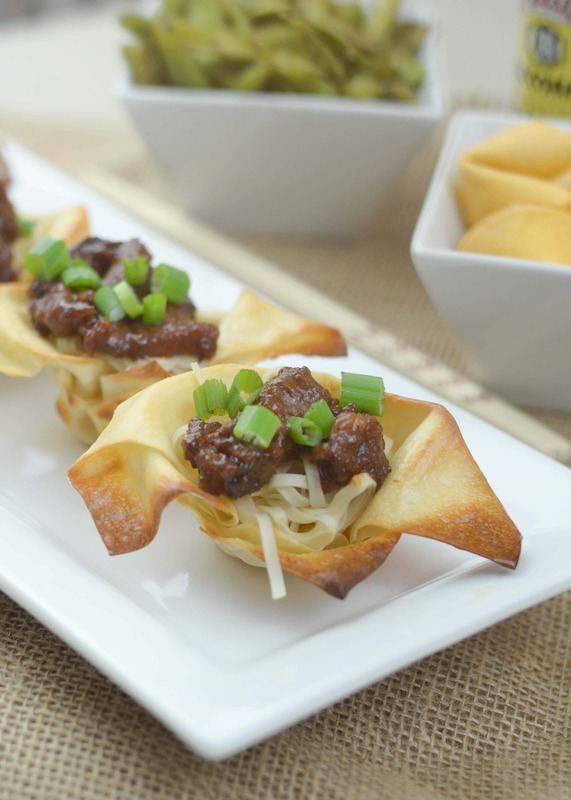 The Mongolian Beef mixed with the crunch of egg rolls was a match made in heaven! 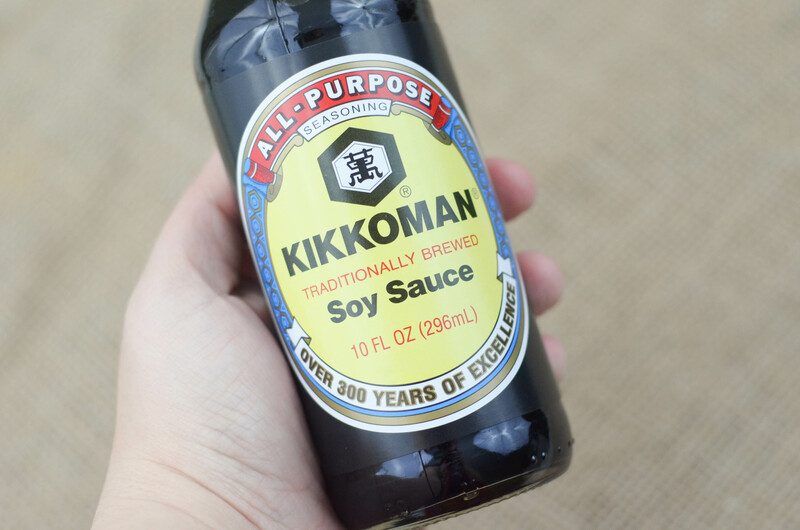 Kikkoman is aged several months to give it the rich flavor and aroma, which is exactly what I needed for the beef. 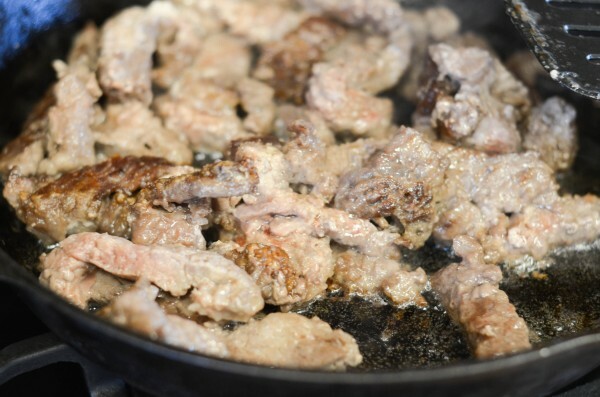 My husband commented on how tasty our house smelt as I let the beef simmer and they were all just anxiously awaiting their first bite. 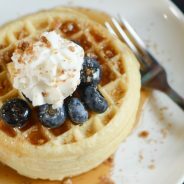 I think this meal would also be perfect for an at-home date night too! A little Chinese food at home that is homemade plus a movie? Sounds perfect to me! Are you planning to ring in the Chinese New Year this year? Let us know what your family does to celebrate! Use 2 muffin tin pans and spray with non-stick cooking spray. 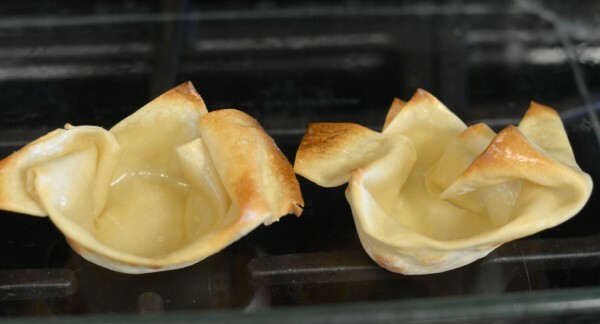 Then, take 1 egg roll wrapper and shape it to fit in the muffin tin. 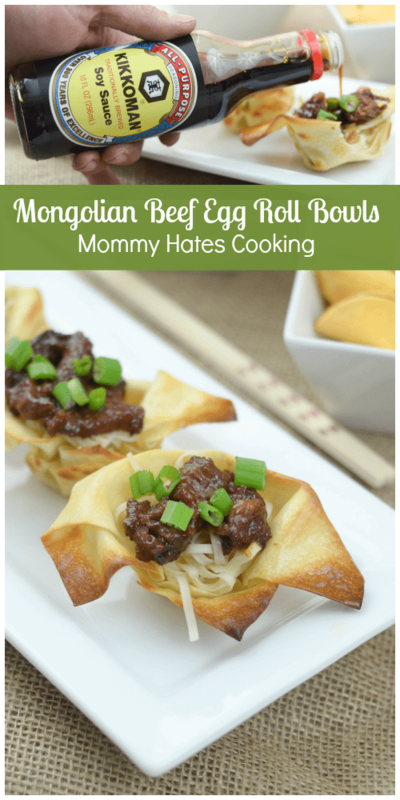 I did every other one to make 12 egg roll bowls. Bake these in the oven per the package instructions. 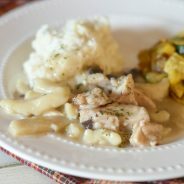 While these are cooling or while in the oven, prepare the sauce by combining all ingredients and whisking well together. Next, place the flank steak in a Ziploc bag along with the cornstarch, seal it and shake it up. Mix this well. 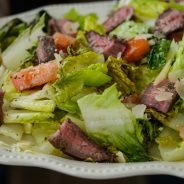 Heat up the oil in a cast iron skillet then, add in the flank steak. Let this cook for 5-10 minutes until lightly browned. Add in the sauce along with about 1/2 cup green onions. Let this simmer for an additional 10 minutes or until the sauce is fully soaked into the steak. While this is simmering, prepare the noodles as instructed on the package. 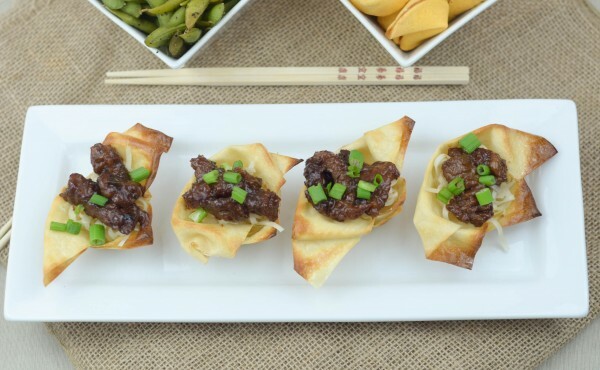 Fill each egg roll bowl with the noodles, then top with the steak. Lastly, top with additional green onions and serve.